Two of six police vehicles torched, Oct 17, Mi’kmaq territory, 2013. A man from Elispogtog First Nation has pleaded guilty to five charges related to anti-shale gas protests last year, including one that ended in a violent clash with RCMP. Jason Augustine, 34, appeared in Moncton provincial court on Monday and was sentenced to 18 months of probation. 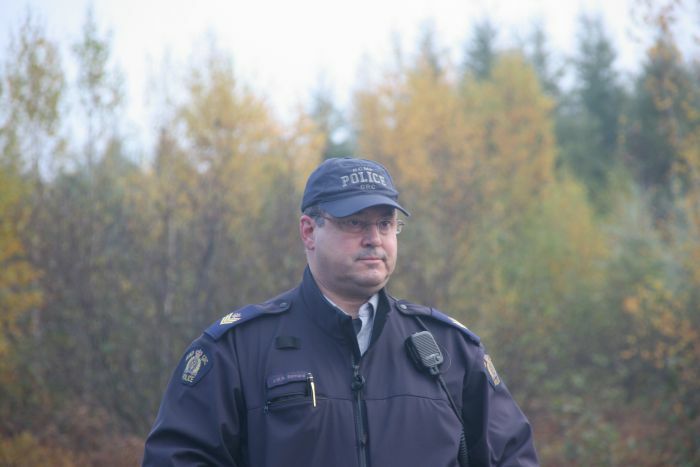 Moncton, New Brunswick – The fourth day of the trial of Germaine ‘Junior’ Breau and Aaron Francis focused on the testimony of four RCMP officers who were engaged in sweeping through the field in which the main tent encampment of the anti-shale gas protest was located. While earlier testimonies throughout the week have come from officers with a backside view of Breau – who is standing trial for five counts of pointing a firearm – the officers who took the stand today all testified that they were in the line of fire, and actually had the barrel of the rifle pointed at them. 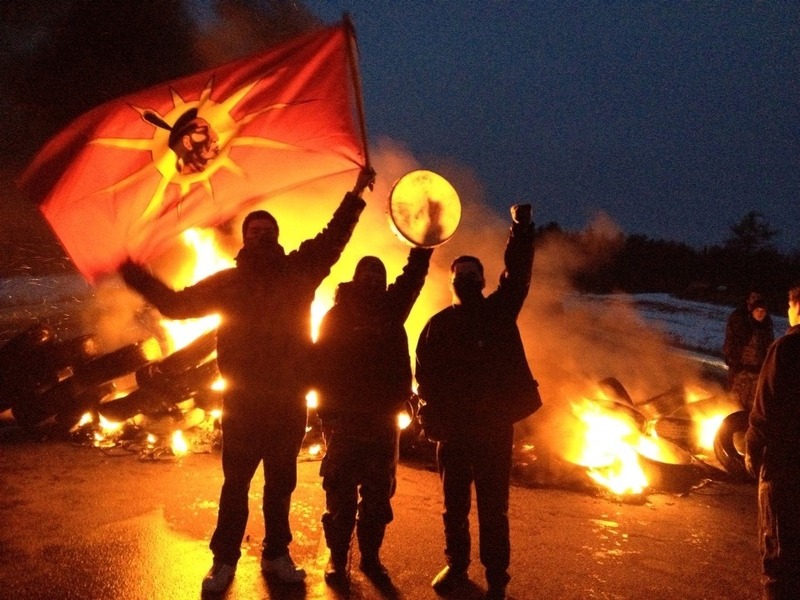 Mi’kmaq warriors at tire fire blockade, December 2013. The Mi’kmaq Warriors, Germaine Jr Breau & Aaron Francis who have been held in custody since the day of the raid on Oct 17th, are now facing trial in Moncton courts. 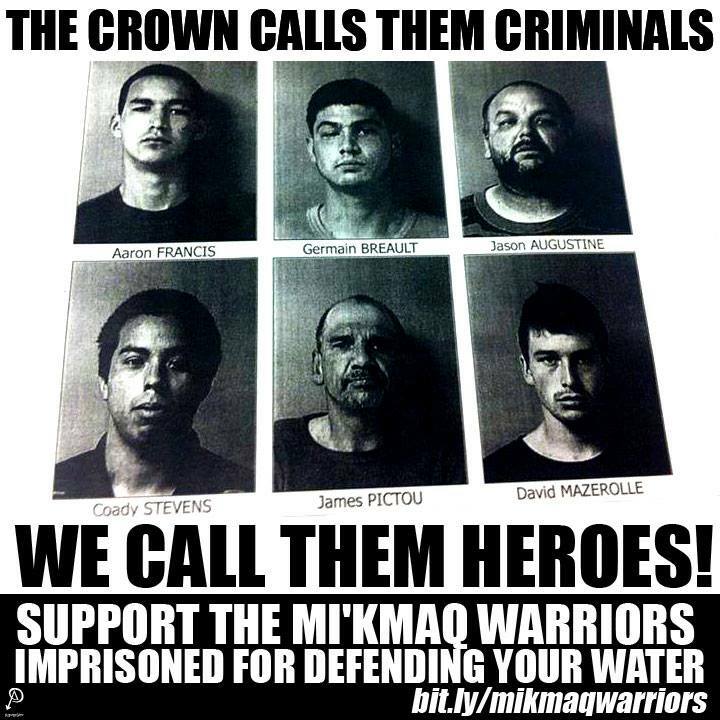 They are currently facing indictable charges for being true to their inherent responsibilities as L’nu people by protecting the lands and waters against corporate imperialists, SWN. 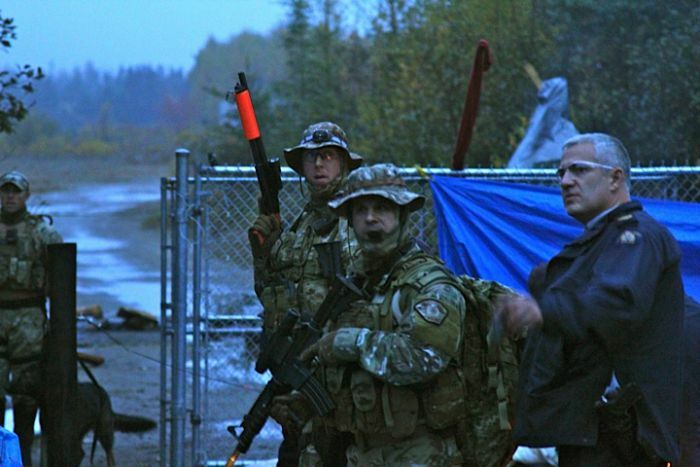 Colonial terrorism: RCMP ERT members during early morning raid on blockade camp, Mi’kmaq territory, Oct 17, 2013. Moncton, New Brunswick – Day three of the trial of Germaine ‘Junior’ Breau and Aaron Francis continued today. The main matter before the court is whether Breau is guilty of five counts of pointing a firearm and whether Francis is guilty of four Molotov cocktail-related charges stemming from the RCMP raid of the anti-shale gas encampment along highway 134 that took place on October 17th. 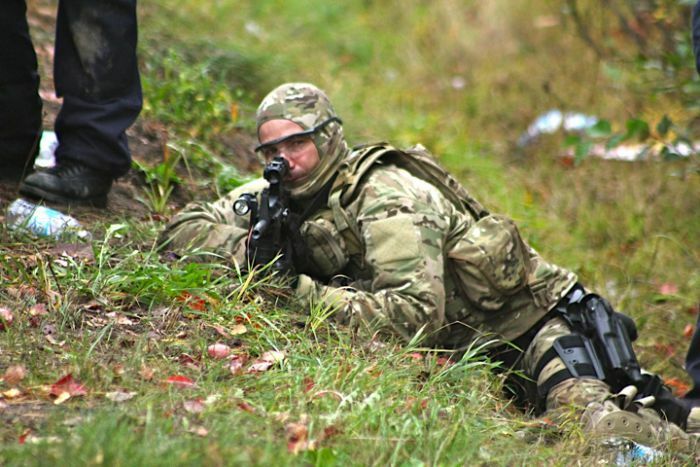 RCMP ERT member providing cover fire for Tactical Troop, Oct 17, 2013. Moncton, New Brunswick – The afternoon session of day two of the trial of Germaine ‘Junior’ Breau and Aaron Francis, two members of the Mi’kmaq Warriors Society who have been incarcerated since an October 17th raid against their anti-shale gas encampment, saw the first of the Crown’s supposed ‘eye-witnesses’ take the stand. 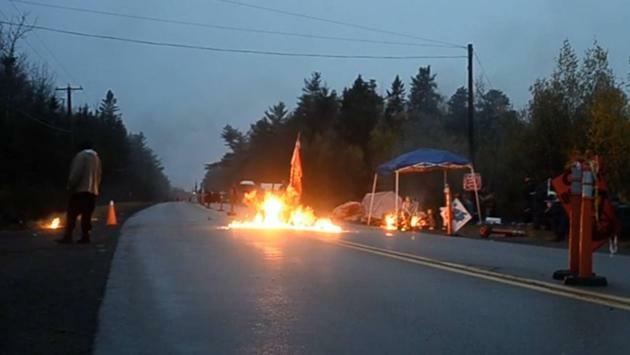 Molotov cocktails thrown on Oct 17, 2013, during RCMP raid on anti-fracking blockade near Rexton, NB. Several police witnesses took the stand in Moncton on Wednesday at the trial of two protesters arrested in the aftermath of last year’s violent clashes between New Brunswick RCMP and anti-shale gas activists. RCMP Sgt. 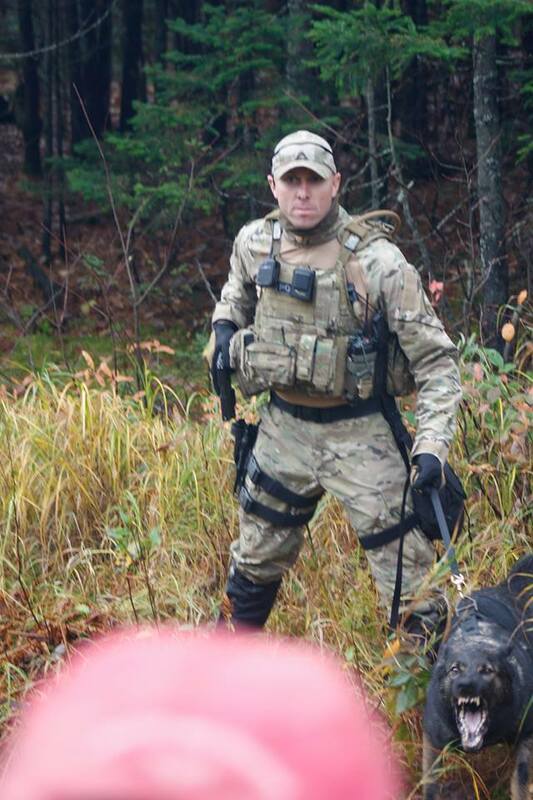 Bernard, commander of the Tactical Troop deployed against Mi’kmaq on Oct 17, 2013. Moncton, New Brunswick – Day two of the trials of Germaine ‘Jr’ Breau and Aaron Francis, the incarcerated members of the Mi’kmaq Warriors Society, continues today. 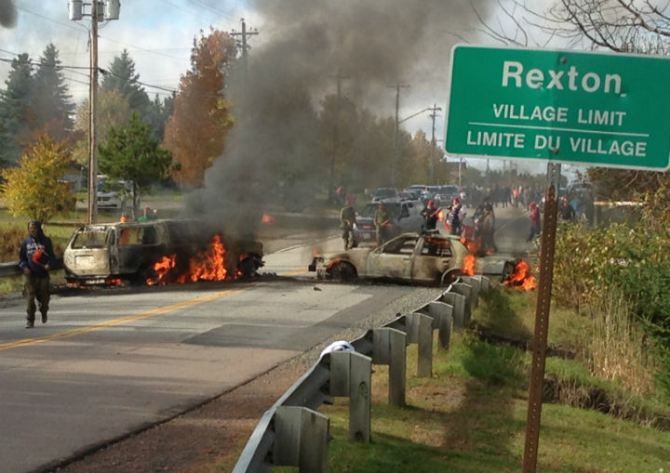 Two (of six) police vehicles torched, Oct 17, 2013, Mi’qmak territory (Rexton, New Brunswick).